UPDATE: RTL Nord is airing the report about poker and Katja TODAY between 18:00 and 18:30!!! The recent already very successfull poker weekend culminated in me winning a seat for the World-Series-Of-Poker $10,000 buyin main event. In a long long grueling eight hour battle I was able to reach the final 23 players in Pokerstars $615+35 weekly qualifier last night. 411 players were trying, 23 got a seat, 2 got their money back ($650 payout) and one got $310. The qualifier started at about 23:30h and ended somewhere 7:40 in the morning. I had played live poker both weekend nights and was already tired to staying awake and focused was not an easy thing to do throughout the long sunday night. Without overestimating my abilities in review I think I played this one perfect. Had I not lost AA vs 55 with a 5 on the turn (money in on flop) it would have been smooth sailing for me without any stress but with me losing that hand I was low chipped from about 80 players on downwards. It is long ago since I was that nervous when playing poker (last time I remember me being that nervous was last years main event) but being on the edge of elemination for nearly 3 hours took it’s toll on me. When I finally made it I was screaming loudly (can’t even remember when I have done that last time). That managed to wake up Katja and we were celebrating some minutes before I went to sleep some time (2 hours lol). So, I am playing the WSOP main event. This qualification could not come to a better time as we are leaving to Las Vegas this week already and hope to stay there until the WSOP is over (7 weeks!). This qualifiers opens the door to the very juicy local satelittes (if your not already qualified you don’t win money or lammers there but get registered for the main event directly). Now I can play them for value! We’re very busy here preparing the travel and our time on the road. 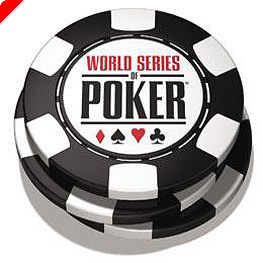 There will be one more pre-wsop post here bringing great news (hopefully) before we leave so check back!